This is a suggestion that I initially made many years ago - so long ago that it was to the Docklands Authority (which merged with the Urban Land Authority in 2003 to form VicUrban - later Places Victoria - now tenanted in the Goods Shed). I recently (Feb 2016) re aired the suggestion on the Future Melbourne 2026 website. Suggest the conversion of the No. 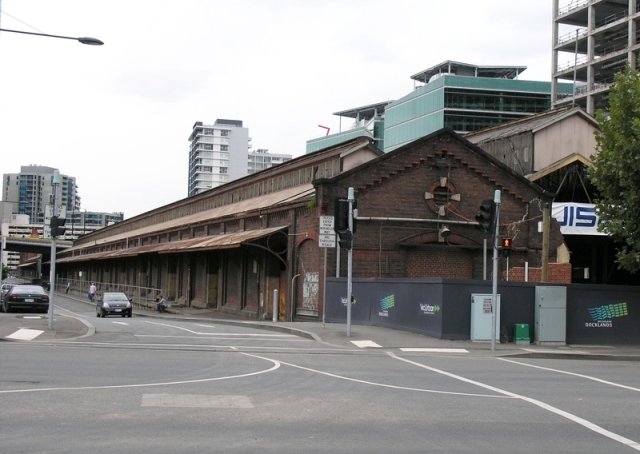 2 Goods Shed# (or what is left of it) to a Transport Museum (in Melbourne Australia). It is sympathetic to the original use of the structure. It may also provide a place to house transport collections such as those in Museum, Vic, the Williamstown Railway Museum and various tramway museums around Melbourne (1 & 2) and even consolidate private car collections. This of course would be subject agreement of the Australian Railway Historical Society, the tramways historical organisations and the car collection organisations. I hope they could be convinced about the advantages of such a museum in terms of preservation of the historical heritage and public exposure. If the Goods Shed is not available or not viable then somewhere else in Melbourne CBD, the Docklands or Southbank (perhaps in association with the Polly Woodside, to further extend the transport theme). A transport museum would be a tourist attraction - and Melbourne has an extensive and interesting transport history.